Running Press Kids, 9780762455126, 368pp. Pound by sweaty pound, Greg Dunsmore's plan is working. Greg is steadily losing weight while gaining the material he needs to make the documentary that will get him into film school and away from the constant jeers of "Dun the Tun." But when Greg captures footage of brutal and bloody hazing by his town's championship-winning lacrosse team, he knows he has evidence that could damage as much as it could save. And if the harm is to himself and his future, is revealing the truth worth the cost? 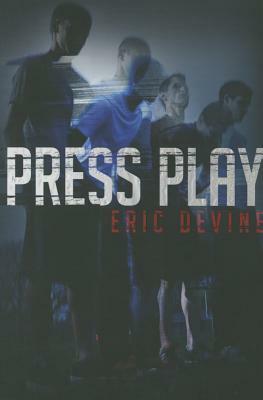 Eric Devine is a writer, high-school English teacher, and educational consultant. He is the author of the young adult novels Dare Me, Tap Out, which is a YALSA Quick Pick for Reluctant Readers, and This Side of Normal. He lives in Waterford, NY, with his family. He can be found online at ericdevine.org and via Twitter @eric_devine.